MOTIONrehab® is pleased to announce the PhysioFunction business has been restructured and as of the 1st of August 2017, the Yorkshire Franchise will become an independent company, MOTIONrehab®. Both organisations will continue to deliver excellence in clinic and community-based Neurorehabilitation. 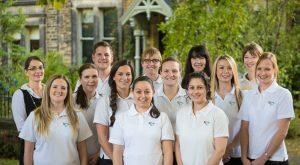 It will be business as usual and MOTIONrehab® will continue to focus on high-quality patient-centred rehabilitation with ‘hands-on’ treatment across Yorkshire and Humberside. We have some of the UKs leading expertise in rehabilitation technology that will appropriately be incorporated into our rehabilitation plans. To keep up to date with all of MOTIONrehab®’s latest news, please don’t forget to follow us on our social media channels and keep up to date by regularly visiting our new website.